Kalamazoo Sunrise Rotary is proud to announce an exciting new project in Rose Park Veterans Memorial, downtown Kalamazoo. A partnership has formed to solve the age-old problem of maintaining an accurate inventory of the over 5,000 veteran memorial bricks located in the Rose Park Veterans Memorial in the City of Kalamazoo. Partners in the project include: the Rotary Club of Kalamazoo-Sunrise, the City of Kalamazoo Parks Department and the team at Wightman. Kalamazoo, MI—May 4, 2018— A partnership has formed to solve the age-old problem of maintaining an accurate inventory of the over 5,000 veteran memorial bricks located in the Rose Park Veterans Memorial in the City of Kalamazoo. Partners in the project include: the Rotary Club of Kalamazoo-Sunrise, the City of Kalamazoo Parks Department and the team at Wightman. Rose Park is a beautiful memorial dedicated to veterans and is located on the Kalamazoo River at the East Gateway to the City of Kalamazoo. Since 1991, the park has been a special community project for the Rotary Club of Kalamazoo-Sunrise. 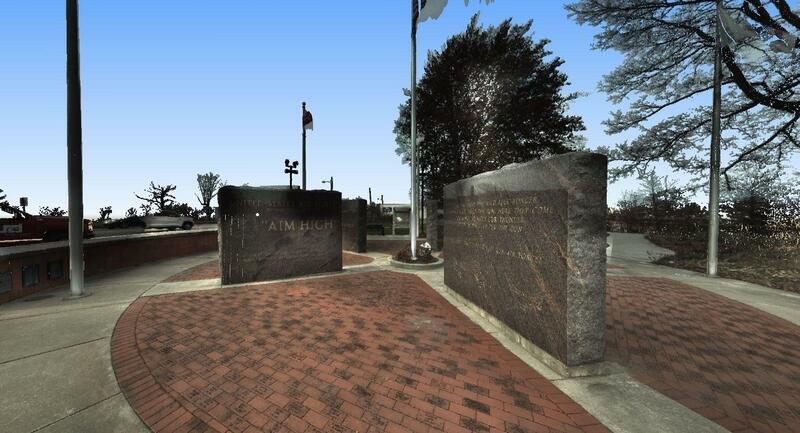 The Rotary Club led efforts to construct the memorial and beautify the park; making the Rose Park Veterans Memorial a reality on Veterans Day, November11, 2001. Since then family and friends of veterans have purchased 2,281 brick pavers to memorialize individual veterans. The bricks typically contain the veteran’s name, branch of service, rank and dates of service. There are currently 1,727 bricks available forpurchase. As the park approaches its 17th Anniversary, those involved have found there are challenges in maintaining and tracking the memorial bricks. Rotary Club of Kalamazoo-Sunrise member and past president, Joanna I. Johnson shared, “Our club found that we were using a very outdated system to maintain the brick locations. It is very difficult for family members to locate their loved one’s brick when they visit the Veterans Memorial. The old kiosk at the park contains outdated information and is difficult to see." "We wanted to find a better way to manage the bricks for inventory, consistency, locating and placement with new technology. We believe an improved system will also allow us to have a better sense for the capacity of future bricks at the Memorial,” added Robert Lawrence, Rotary Club of Kalamazoo-Sunrise member and past president. Developing a process to manage all future memorialbricks. Laser scanning the Memorial site to create a 3D model of the Memorial including brick details. Developing a CAD/GIS drawing file to prepare a base map for locating individual bricks on thesite. Developing a database to catalog and allow for easy access to all brick information by Parks Department staff and the public. The database will also allow for future memorials to be added and implementedseamlessly. Developing on-site signage to take the place of the outdated and weather-worn kiosk to provide more up to date information forvisitors. Once the project is complete the City of Kalamazoo will host and maintain the GIS data on an online interactive GIS map that the public can use to search for and locate the memorial bricks. The City of Kalamazoo Department of Parks and Recreation Deputy Director Patrick McVerry shared, “The City of Kalamazoo is fully supportive of the new ideas that surround the GIS project and we will gladly be the coordinator and host of the system once it is up and running. We are excited about the new system, and the updates planned for the park moving forward.” “Rotary, City staff and Wightman are committed to making this experience more interactive for family and friends who visit the site. As partners in this endeavor, we are honored to be a part of this project and are more than happy to donate some of our time and services to help achieve the goals of the project,” added Hahn. The project is scheduled to be completed before the May 28th Rotary Club of Kalamazoo - Sunrise Memorial Day 2018 events. Citizens interested in purchasing new bricks are encouraged to visit the Rotary Club web site where they can download an order form. successful projects. Wightman oﬀers comprehensive multi-disciplinary services including Architecture, Civil Engineering, GIS, Interior Design, Landscape Architecture, Environmental and Surveying.